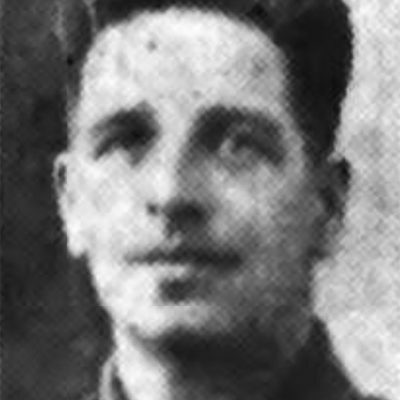 Sergeant James Lockhart of 2nd Battalion Royal Ulster Rifles died on 26th March 1942. The Belfast born soldier had received treatment in Hatfield, England. James Lockhart saw action throughout the early years of World War Two with 2nd Battalion Royal Ulster Rifles including the now famous retreat from Dunkirk in northern France. Sergeant James Lockhart (7009959) served in 2nd Battalion Royal Ulster Rifles during World War Two. Born on 26th October 1904, he was the son of Charles Lockhart and Martha Jane Lockhart (née Wiley) of Templepatrick, Co. Antrim. The 1911 Irish Census shows James aged 6 years old, living with his parents at 2 Malvern Place, Belfast, Co. Antrim. Also in the house are older siblings Edward Lockhart, John Lockhart, Charles Lockhart and younger brother Henry Lockhart. The remaining person in the household is James’ stepbrother William Patrick who is 22 years old. James married Henrietta Cairns and the couple lived with their 2 daughters at 6 Hunter Street, Belfast, Co. Antrim. During the Second World War, he died at a military hospital in Hatfield, Hertfordshire on 26th March 1942 aged 37 years old. At the time of his death, James had more than 17 years of military experience and saw action at Dunkirk. James Lockhart’s grave is in Glenalina Extension, Section L, Grave 307 of Belfast City Cemetery, Belfast, Co. Antrim. Reverend JM Payne of St. Aidan’s conducted at service at the Lockhart home and at the graveside on Tuesday 31st March 1942. Four Lockhart brothers carried the Sergeant’s coffin with many members of the Royal Ulster Rifles in attendance. James’ brother Company Sergeant Major Harry Lockhart also served in the Rifles. If you enjoyed this post on "James Lockhart", please share with your friends and followers.